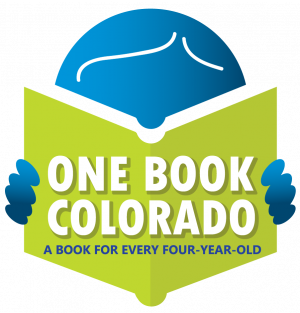 One Book Colorado is a statewide collaboration among Serve Colorado, the Colorado State Library, the Colorado Department of Education, the Denver Preschool Program, the Colorado Office of Early Literacy, public and military libraries statewide, the private sector, and the nonprofit and foundation communities. The Colorado State Library, a division of the Colorado Department of Education, provides leadership and expertise in developing library-related policies, activities, and services for school, public, academic, and special libraries. Through an advisory board, Colorado Libraries for Early Literacy and public libraries, the State Library promotes early literacy to parents, children, and child care providers throughout Colorado. Please visit the Colorado State Library website to learn more. The Denver Preschool Program is the result of a voter approved initiative to provide tuition credits for parents and quality improvement resources to preschools. The Denver Preschool Program is open and voluntary for all Denver children the year before they are eligible for kindergarten. A Denver family may use the tuition credit with any preschool provider who is licensed by the state and enrolled with the Denver Preschool Program, regardless of where that preschool is located. The program’s website offers more information. Serve Colorado empowers community-based organizations to meet locally identified needs through national service and volunteerism. Housed in the Office of the Lieutenant Governor, the program’s work is guided by its collaboratively developed State Service Plan. The Commission guides our work in three distinct programs: AmeriCorps Colorado, the state agency of the national domestic service program; Colorado Reads, the state’s early literacy initiative; and Days of Service to promote volunteerism. Along with these three programs, Serve Colorado hosts and participates in a number of events, including the Governor’s Service Awards, the AmeriCorps Opening Day Ceremony, retreats for AmeriCorps members, various literacy events, and more. Mile High United Way fights for the education, health, and financial stability of everyone in Metro Denver. Together we ensure young students are connected to programs and resources that support grade-level reading so students don’t fall behind. We unite community partners, teachers, parents, caregivers, tutors and volunteers to give our kids a safe place to learn, grow, and increase their love of reading. Learn more by visiting us at unitedwaydenver.org. Denver7, an ABC-affiliated television station, aims to help Colorado natives and newcomers navigate the challenges and celebrate life in this state so they can make the best decisions for themselves and their families. Denver7 strongly supports literacy initiatives including One Book Colorado to further a culture and love of reading through Colorado. Public and military libraries throughout Colorado provide a wide range of free services to their communities. With 252 library locations across the state, there’s bound to be a location near you. Visit your public library often to use a computer with internet access; borrow books, CDs, audiobooks, DVDs, state park passes, and more; attend fun programs; meet people from your community; enjoy learning, no matter what your age; and much more. Well over half of Coloradans have a library card; you can get one too, for free! Visit this directory of pickup locations to find a library near you.